Truck will be closed for the Holidays. We will return back on to the streets on 1/3/18. Mon Lunch (11am-2:30Pm) 421 E. 26th st. This week's BOTW - The Bite Back - A Spicy Grassfed Angus Patty with roasted jalapenos, pepper jack cheese, apple-wood smoked bacon and garlic aioli spread. This week's BOTW - The Guacamole Blast...Seasoned Grassfed Angus Patty, Truffle Spicy Guacamole, Swiss Cheese & Applewood Smoked Bacon. This week's BOTW - The Ploughman - Seasoned Grassfed Angus Patty, Gruyere & Cheddar Cheese, Savory Onion Jam & Homemade Sassy Slaw. 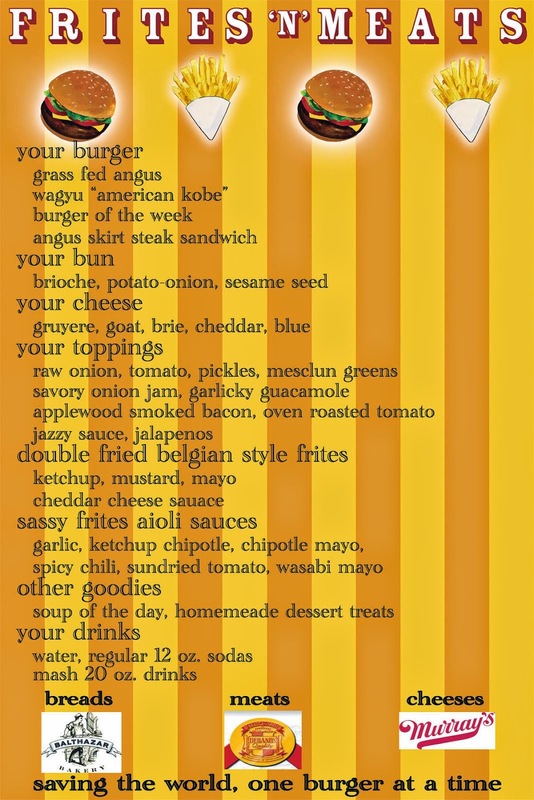 Mon- Lunch 11am-2:30Pm- 421 E. 26th st.
Tue - Lunch 11am-2:30pm- 49th st. & 6th ave.
Grassfed Angus patty with Aged cheddar cheese, Canadian smoked Bacon, Grilled Shiitake Mushrooms & Rosemary Aioli. This week's BOTW - The Chevre Truffle Burger - Seasoned Grassfed Angus Patty with Chevre Cheese, Cheddar Cheese, Applewood Smoked Bacon & Truffle Butter. This week's BOTW - The Texan - Seasoned Grassfed Angus Patty with Provolone Cheese, Applewood smoked Bacon, Sauteed Cajun Onions & Maker's Mark Bourbon BBQ Sauce. Mon- Lunch (11am - 2:30pm) 41st & 6th av. Tue - OFF THE ROAD! This week's BOTW - THE BURGASM - grassfed angus patty, Dijon horseradish aioli, applewood smoked bacon, Swiss cheese & roasted red bell peppers. This week's BOTW - The MARITAL BLISS -Seasoned Grassfed Angus Patty with Philadelphia Cream Cheese, Raw Jalepeno Peppers and Applewood-smoked Bacon. This week's BOTW - THE INFUSED BURGER- Grassfed Angus patty with Aged Swiss cheese, avacado, green pepper Aioli & apple wood smoked bacon. 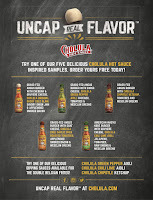 Peeps, we'll be all decked out as Cholula Hot Sauce for the week. 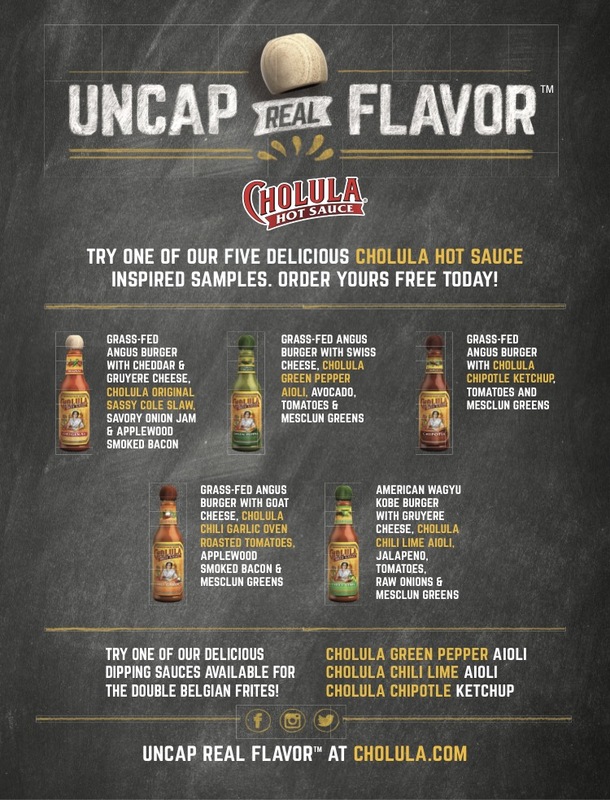 We will have our full menu available along with some tasty Cholula Hot Sauce Infused with Frites'N'Meats burgers and we're giving away complimentary inspired samples. This week's BOTW - The BYMARK - Seasoned Grassfed Angus Patty with Brie cheese, sliced grilled mushrooms, Garlicky Lemon Aioli your choice of bun. This week's BOTW - The SouthWest Fusion...Seasoned Grassfed Angus Patty, Spicy Guacamole, Pepper Jack Cheese, Applewood-smoked Thick-cut Bacon and Sweet Chili Sauce. Tue - Lunch (11am-2:30pm) 49th st. B/t 6th & 7th av.